February 20, 2015 (Berkeley, CA.) – TINE (pronounced “tiny”) is the new way to share experiences by recording audio or video onto interactive stickers called TINE Tags. Stick a TINE Tag where you want it, scan it with the TINE app, record your message and save. Anyone scanning the TINE Tag with the TINE app will instantly hear or see the message and you’ll be notified each time your TINE Tag is scanned. “While we suggest a few great ways to use TINE at home, like turning any book into a recordable storybook, or adding a video singing “Jingle Bells” to your Christmas cards, I’m always amazed at what parents come up with themselves. The other day a mom told me her family was using TINE on their measuring wall. Instead of just a line showing their son’s height, they had a TINE Tag on the wall with a video of them measuring their son. I can’t help but get really excited when someone tells me something new they are doing with TINE,” said CEO and founder, Vik Thairani. 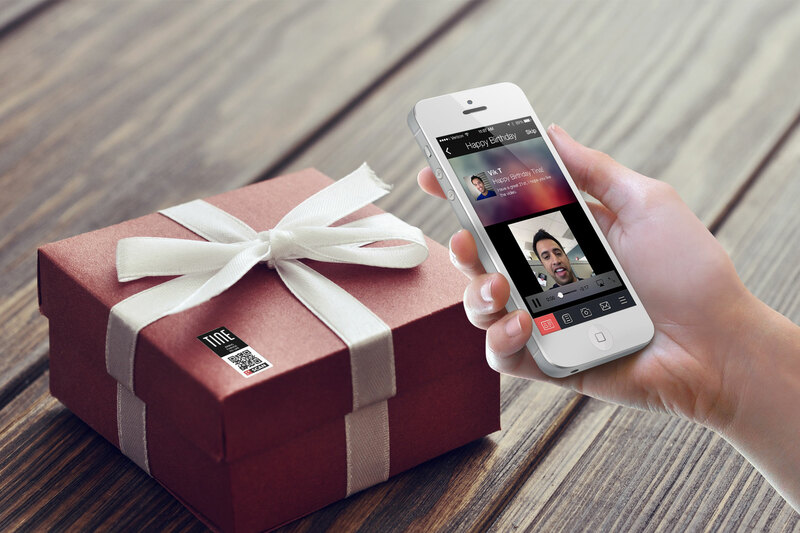 To a gift, scan and record a celebratory message. To your child’s jacket, scan and record lost and found information. To an invitation, scan and record an extra special message. To your baby’s food container, scan and record directions for the babysitter. TINE is available for iOS and Android. Request TINE Tags once TINE is downloaded. Visit www.tinetag.com for more creative ideas.